Yes, swants are soooo yesterday. 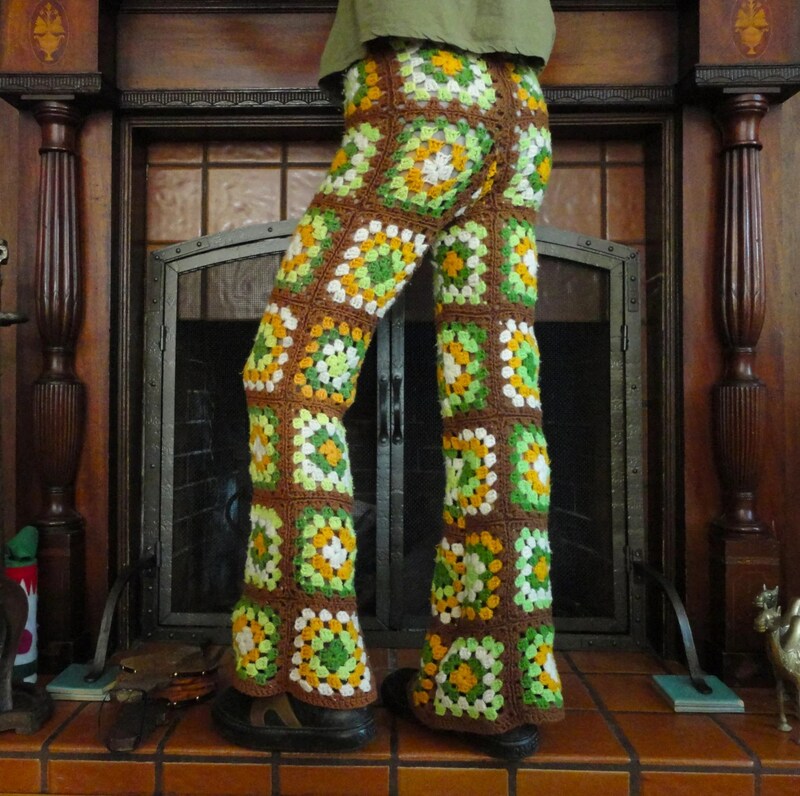 It’s all about the crocheted granny squares pants this hour! Now go steal that afghan off your Grandma’s couch and make some crants! I kid you not, the more I look at these things, the more I want some. Maybe more so than swants. But I will also warn you, if you look up crocheted pants on Etsy, you will find a lot of holey undergarments that should have never been made. I have no words except an imagination is a horrible thing to waste; – at least it’s been put to good use! I swear, Phoebe, I can’t tell if you are serious or using very dry humour. (Sarcasm is hard to read on the ‘Net; you need a sign). If you’re serious, you’re worse than my daughter Maddy, and she’s every advertiser’s wet-dream: every commercial product, no matter how cheap or silly, becomes the thing she’s wanted ALL HER LIFE (!!!) Are you that faddish, too? Ah, now I know. How do I know? I have a child almost as expressive as a blank page, and I’ve learned to (kinda) read her! I think they should be called “afghants”. but…wait… I love these!! haha. Awesome etsy find!